The 2018-19 Wauseon boys basketball team. Wauseon has five returning letter winners for the upcoming season. 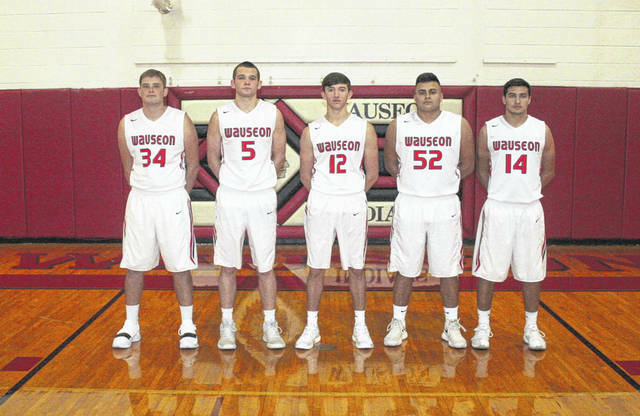 Although they lose a quality senior class, Wauseon boys basketball looks to carry on its winning in 2018-19. Last season, the Indians rolled to an unbeaten regular season (22-0), with their only loss coming to Lexington in a Division II regional semifinal. This was after making a run to the state title game in 2016-17. Their most notable loss will be the departure of center Austin Rotroff. Now playing at Duquesne, Rotroff was first team All-Ohio last season to go along with multiple player of the year honors. Also gone for the Indians is Brooks Gype who was first team All-Northwest Ohio Athletic League, first team in District 7, second team all-district and honorable mention all-state. He averaged nine points per game and four rebounds a season ago. Owen Newlove (second team District 7, honorable mention All-NWOAL), Dawson Rupp, Dalton Rice, CJ Moser and Everett Bueter also depart for the Indians. However, they do get back two of their top scorers from last season. Trent Armstrong was first team District 7, second team all-league, and honorable mention all-district. Levi Seiler returns after being named first team District 7 and second team all-league. Seiler notched 9.5 ppg and almost five (4.8) rebounds per contest, while Armstrong posted 9.2 ppg. Other returnees for the Indians are Trevor Rodriguez, Sean Brock and Noah Tester. Newcomers are Tyson Britsch, Dylan Michael, Jared Richer, Connar Penrod, Jonas Tester, Garrett Smith, Zac Carroll and Isaac Wilson. Burt feels rival Archbold is the top dog in the NWOAL. He then has Evergreen finishing second, his Indians coming in at third, Bryan fourth, Swanton fifth. 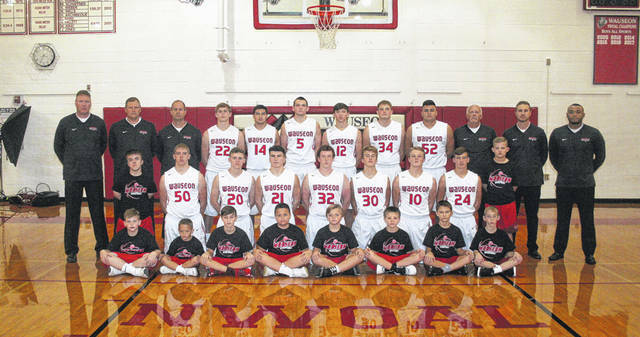 Wauseon is at Archbold Saturday in a non-league contest.